Who We Are - Excel Builders & Renovators Inc.
Excel Builders & Renovators Inc. was founded in 1994 by its president, Matthew Goldfine who brings over 35 years of general contracting experience to the company. Rooted in the tradition of old world craftsmanship combined with modern materials and an obsessive attention to detail, the company has grown from a small upstart to one of the most respected and reputable contractors in the New York metropolitan market. Excel spent its first five years building a solid reputation developing high profile United States government projects under the auspices of the General Services Administration. Totaling roughly 40 in all, the projects included a series of courtroom renovations, clerk's offices, libraries, staff quarters and judge's chambers at One Bowling Green and 40 Foley Square in New York City. In 1998, Excel was responsible for the Design/Build of a coordinated office space that combined four divisions of the US Department of Transportation including the Maritime Administration and the Federal Highway Administration. Subsequently, Excel began taking on highly specialized projects including the installation of breakaway hangar doors housing armed and ready F-16 fighter jets at the NJ Air National Guard Base in Egg Harbor, NJ. Additional projects included replicating custom antique doors requiring painstaking attention to detail, restoring antique stained glass and refurbishing a variety of stone materials. In 1999 Excel was chosen to Design/Build the prestigious Federal Trade Commission offices at One Bowling Green, NYC. The project, which also included extensive restoration work of the general areas, included authentically restoring the historic marble hallway wainscoting and repainting columns to be historically accurate in a painstaking process requiring a seven color alternating pattern. The same year Excel was one of two contractors chosen by Parson's School of Design to renovate identical classrooms as part of a competition to determine who would be awarded a five year long contract. Coming in under budget, under schedule and at a higher level of quality Excel, was chosen as the superior contractor and was selected to renovate the remaining 30 year old classrooms. When it came time to choose a Design/Build contractor to construct Parson's prestigious Donghia Materials Resource Center, Excel was the obvious choice. Also in 1999, Excel was chosen to renovate Richard Holbrooke's offices after his appointment by then president Bill Clinton as the United States Ambassador to the United Nations. The design and construction of a secure US Marshalls' facility in 2000 to house witnesses of the 1993 World Trade Center bombing cemented Excel's reputation as a reliable builder of high precision, high security installations. Also in 2000 Excel renovated and restored the Smithsonian portion of One Bowling Green including the renewal of a variety of wood, stone, bronze and other metal surfaces and in 2002 renovated the United States Passport office. In 2004 Excel renovated and restored the US District Court of Appeals 2nd Circuit including the courtroom and judge's chambers. Additional institutional work has included high level perimeter security and the installation of sophisticated automated portal entrances at psychiatric hospitals throughout the Capital District. Though our government and commercial credentials are impressive, the majority of our work has been high end residential projects ranging from bathroom renovations to gut rehabs of Brownstones throughout Brooklyn and Manhattan. Notable projects include the renovation and restoration of the Upper East Side home of a famous film director and the new construction of the Miro residence and art studio in Fort Greene Brooklyn acclaimed in the New York Times. 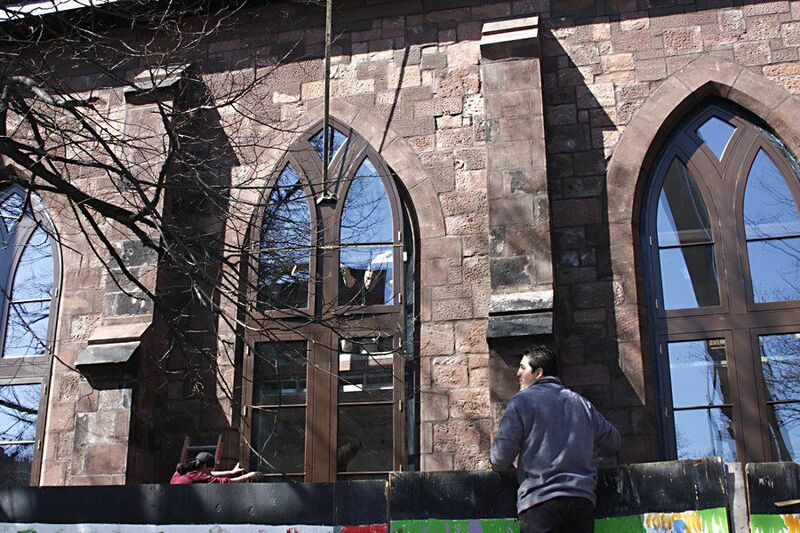 Recent projects include the gut rehab and reconstruction of a Carroll Gardens Brownstone located at 116 3rd Place. After taking the building to the bricks, the basement was dug out to add a lower level to the first floor duplex, two additional stories completed the penthouse duplex and an EcoStar energy efficient elevator was added to serve each unit directly. Radiant heating, high performance finishes and many other amenities make 116 3rd Place among the most energy efficient and appealing residences in Brooklyn. The building was under consideration as the filming location for MTV's long running reality series, "The Real World". In keeping with our commitment to Green building practices, Excel became a member of the United States Green Building Council in 2008. The same year project manager, Martin Mills, was certified as a Leadership in Energy and Environmental Design (LEED) Accredited Professional, a certification given to individuals who have demonstrated a thorough understanding of green building practices and the LEED certification requirements. With our recent hire of Project Manager and Civil Engineer, Geoff Protz, Excel now has two full time LEED APs on staff. Throughout our history our focus has been and always will be on craftsmanship and customer service. Our combination of a unique, well thought out methodology, high quality materials and time honored and modern construction methods consistently deliver the exceptional results our clients demand. Our work reflects our commitment to provide our customers with worry free environments they love to call home.